Prescribe the right blood products and components for your patient’s condition. Transfusion-related risks and management of reactions. Our online learning helps you improve your transfusion knowledge and practice. 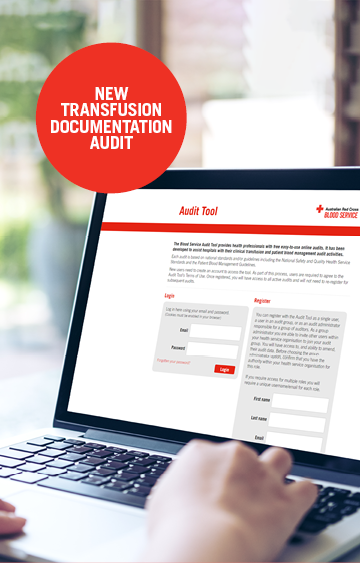 This audit aims to determine if transfusion documentation relating to prescription, administration and observation is consistent with current recommendations and guidelines. Receive email communication from the Blood Service.